These oil colors are versatile, offering an unsurpassed price-to-quality ratio. They contain no waxes or thickeners, and no manufacturing shortcuts. 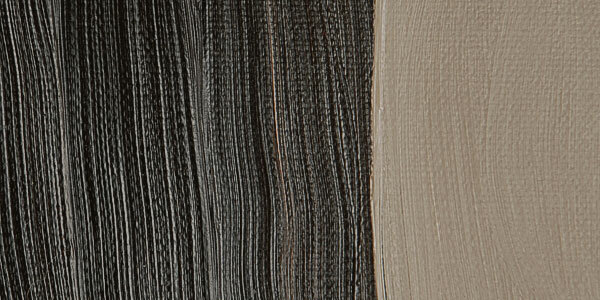 The color palette includes the best original natural Earth and true Cadmium pigments. Raw Sienna is a moderately dull deep earth yellow with medium tinting strength and excellent transparency. It is one of the basic permanent artists' pigments and is made from a form of limonite clay whose yellow-brown color results from ferric oxides. Raw Sienna is preferable to Yellow Ochre for creating flesh tones, due to its higher subtlety of color when mixed with white. It creates a bright Ochre when mixed with Cadmium Yellow and creates greens and grays when mixed with Ultramarine. Raw Sienna dries quickly. Raw Sienna has good permanence. Raw Sienna has no significant hazards. Raw Sienna has been used as a pigment since prehistoric times, although its current name came about during the Renaissance. It comes from the city of Siena, in Italy, and is short for terra di Siena , meaning earth of Siena . Sienna was famous for the mining and production of earth pigments from the Renaissance until World War II. Due to the depletion of clay deposits in Tuscany, Italian siennas now come from other areas, including Sicily and Sardinia. Italian Earth, Natural Brown Iron Oxide, Sienna. Ivory Black is a cool, semi-transparent blue-black with a slight brownish undertone and average tinting strength. It mixes well with any color, and creates a range of dull greens when mixed with yellow. It has good properties for use in oil, can be slow to dry in oil form, and should never be used in underpainting or frescoing. Ivory Black is denser than Lamp Black. Ivory Black is very lightfast and has good permanence, though it is considered the least permanent of the major black pigments. Ivory Black has no significant hazards. Ivory Black is a carbon based black first named as Elephantium , and described in the 4th century BCE as produced by heating ivory scraps in clay pots to reduce the ivory or bone to charcoal. The deviation in names is because the more expensive varieties of this pigment were made by burning ivory, and the less expensive ones by burning animal bone. In the 19th century, the name Ivory Black was finally permitted to be applied to Carbon Black pigments made from bone. True Ivory Black is rare in modern times due to the protection of ivory, and the synthetic variety produced today was discovered in 1929. 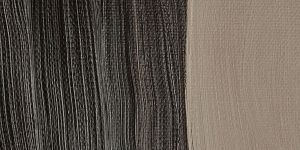 Bone Black is produced as an industrial pigment. Animal Black, Blue Black, Bone Black. Paris Black is an inferior grade of Ivory Black. Incorrectly labeled as Frankfort Black.